The cabbage white fly is is a sap-feeding insect that is endemic to brassicas, and although similar to the glasshouse whitefly, they are a different species entirely. These white winged 1.5mm long insects are often more conspicuous during winter months,particularly if they have been disturbed, when they fly up in clouds from the underside of brassica leaves. They are ever present on its host plants throughout the year, but do very little damage to the plants. 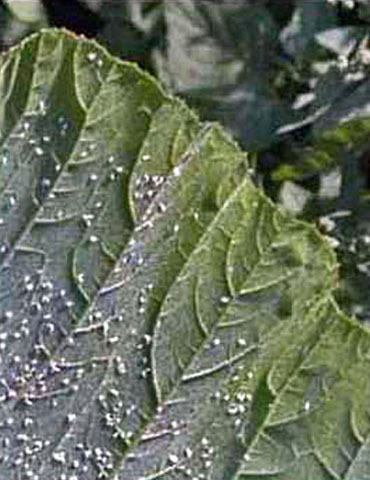 The adults lay eggs on the lower leaf surface, and these hatch into scale-like nymphs. 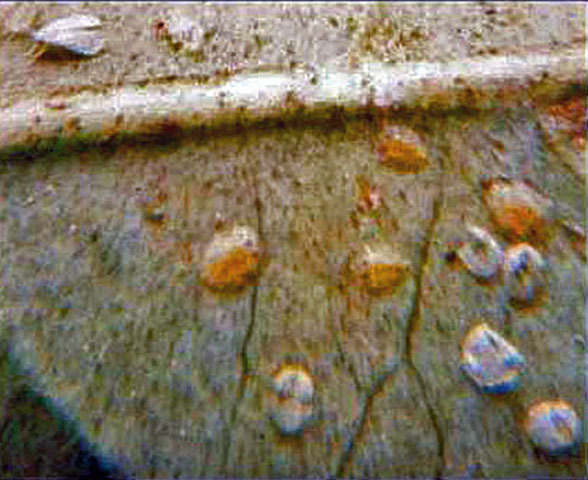 During heavy infestations the leaves can become a bit discoloured and a sooty mould is formed on the leaves. This is caused by the adult flies and young nymphs feeding on the undersides of leaves and excreting a sticky honeydew which drops on to the surface of the leaf below. Although unsightly this does not affect the eating qualities of the plant if washed off prior to cooking. 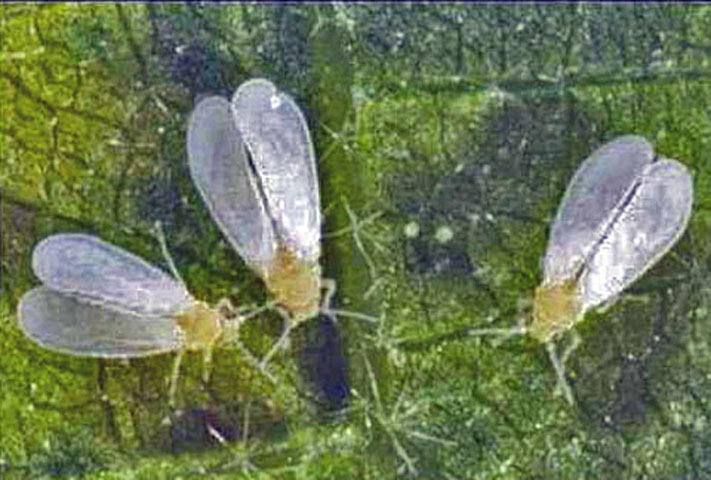 Because cabbage whitefly are not a serious problem, many gardeners just leave them to get on with it, whereas other gardeners may want to get rid of them. If the infestation is severe, thorough spraying to the underside of the leaves with a suitable pesticide will keep the infestation in check. Organic pesticides based on fatty acids or plant extracts will require several applications to reduce the infestation. Alternate with different types of pesticide at each application, to prevent the insects developing an immunity to the product/s. Chemical pesticides may require fewer applications. Always follow the instructions on the packaging as to how to mix / apply the pesticides, and allow at least seven days after an application before harvesting plants.